We’re always on the lookout for a good deal. 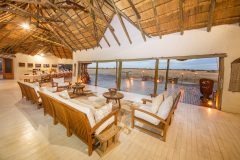 It’s no different when it comes to planning your holiday; if you plan it right you’ll almost always be able to find a deal or special offer that can save you a lot of money. To help you stretch your holiday budget as far as possible, and still get a top quality experience, we’ve gathered together some of the amazing offers from our partners in Africa. Some of them need to be grabbed quickly because they don’t last for long, others are seasonal specials that are repeated every year. 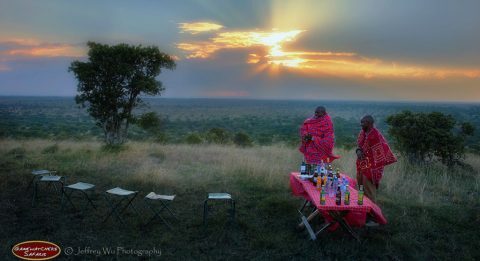 When you are planning your trip to Africa, one of the big decisions you’ll need to make is when to travel. 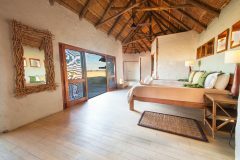 If you are tied to fixed holiday periods (like school holidays for example) your choices may be limited, but if you are fortunate enough to be able to travel at any time then we strongly recommend that you take advantage of the amazing special deals that are often available. On the plus side, in green season the air is clear and ideal for photography; it is also a time when birdlife is most prolific and visitor numbers are at their lowest. Booking at this time can often save you as much as 50%, compared to peak season, and often other supplementary charges, like single supplements, are waived. 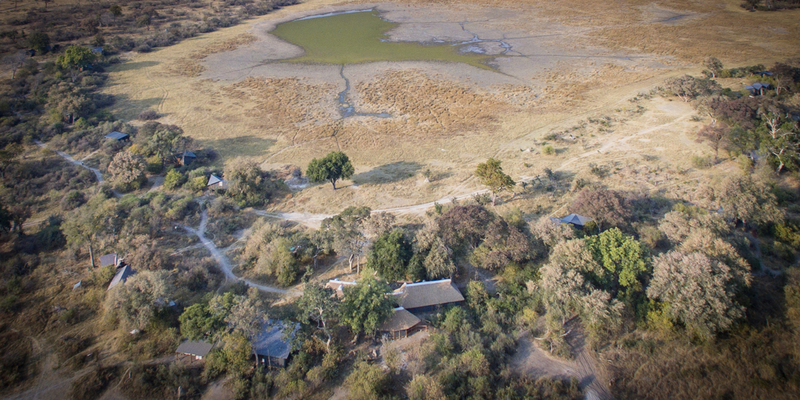 Peak season is the time when animal sightings are reckoned to be best; the landscape is dry, vegetation is sparse and animals stay close to water bodies. The downsides of peak season are that it is often very hot, dry and dusty; so not ideal for photography. Prices and visitor numbers are at their highest. Shoulder season is a short period in between ‘green’ and ‘peak’; some lodges don’t bother with a shoulder season at all. 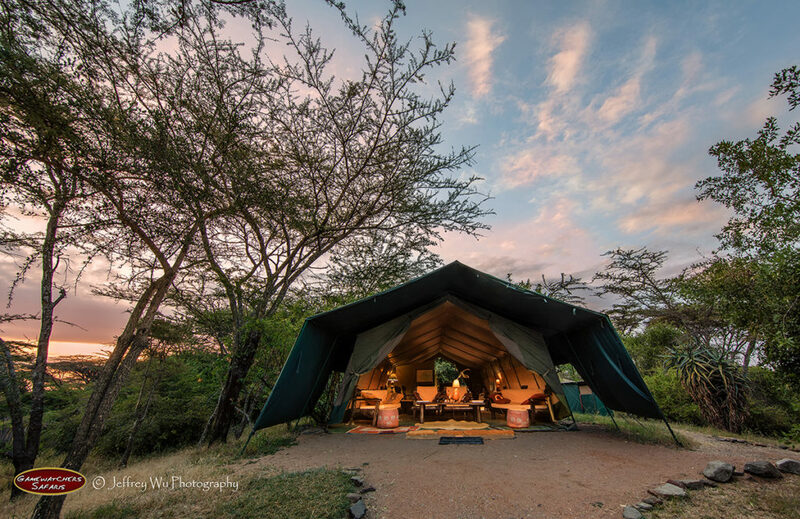 Some of the special offers, particular ‘green season specials’ are the same every year, which means that you can easily plan ahead and take advantage of fantastic deals. 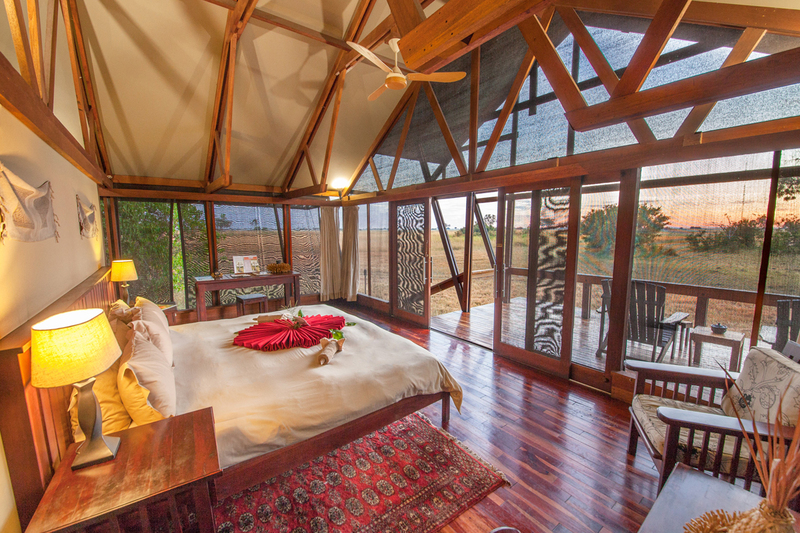 Others are last minute offers, used by the lodges to fill beds that would otherwise lie empty. The drawback with the last minute offers is that you cannot predict with any certainty when they will be made, or if they will be made at all. Great if you can pack & go at the drop of a hat, but not so useful if you need to plan ahead. With private camps in Kenya’s prime game viewing areas, and an enviable collection of awards for both their camps and their commitment to conservation, Porini Camps are one of the best operators in Kenya. The eco-friendly Porini safari camps are small and authentic with rustic charm combined with creature comforts, such as private bathrooms with flush toilets. 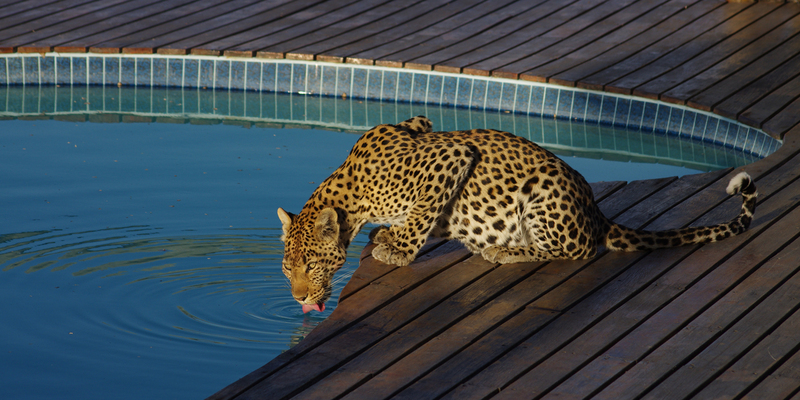 A superb-value 7 day fly-in safari to some of Africa’s best wildlife locations for viewing elephants, lions, leopards and much more. 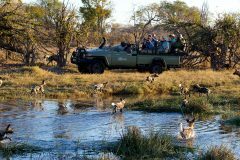 This 7 day special-value safari offers a great opportunity to see Africa’s iconic animals – including elephants, lions, cheetahs, leopards and giraffes – in vast wildlife conservancies where they are free and protected in their natural habitat, away from the tourist crowds. 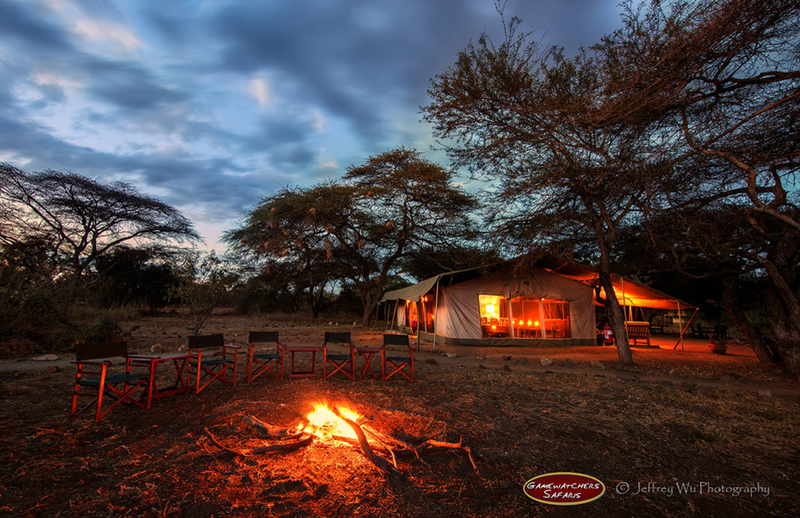 From each camp, guests take day and night game drives within the conservancies which are teeming with wildlife. 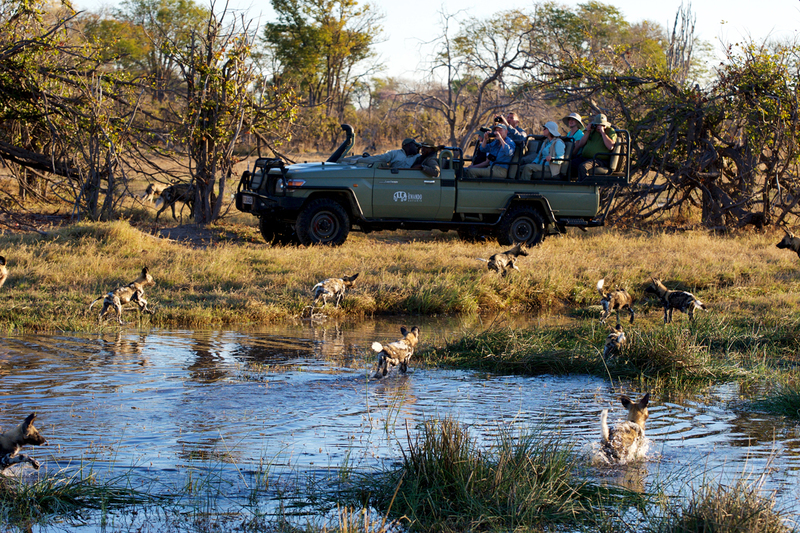 Drives are by custom-built, open-sided 4×4 safari vehicles (not tourist vans) with a driver-guide and a spotter. Porini guests also enjoy bush picnics and romantic sundowners and can join Maasai warriors for guided walks to learn more about Kenya’s fascinating flora and fauna. The conservancies are formed of pristine wilderness with open savannah plains, riverine forest, springs, streams and rivers, rolling hills and spectacular views. 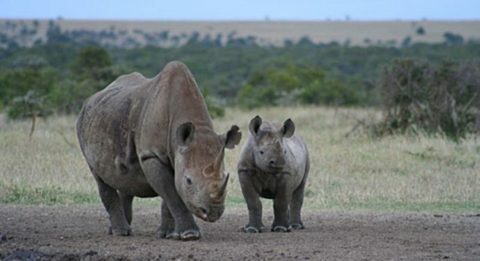 Note: This tour includes flights between Nairobi and safari areas (and back) to avoid wasting hours travelling by road and to get you straight to the wildlife. 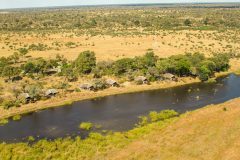 Departures are flexible (any day of the week) but exclude the rainy season from mid Apr to end of May. 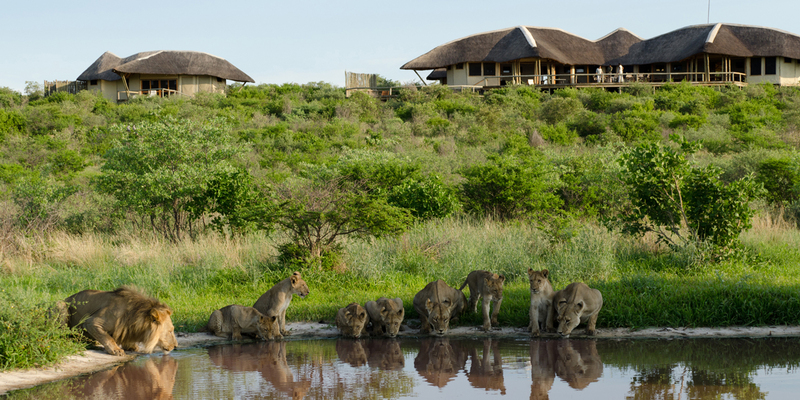 A rare opportunity to see Africa’s Big Five in natural habitat, away from crowds. 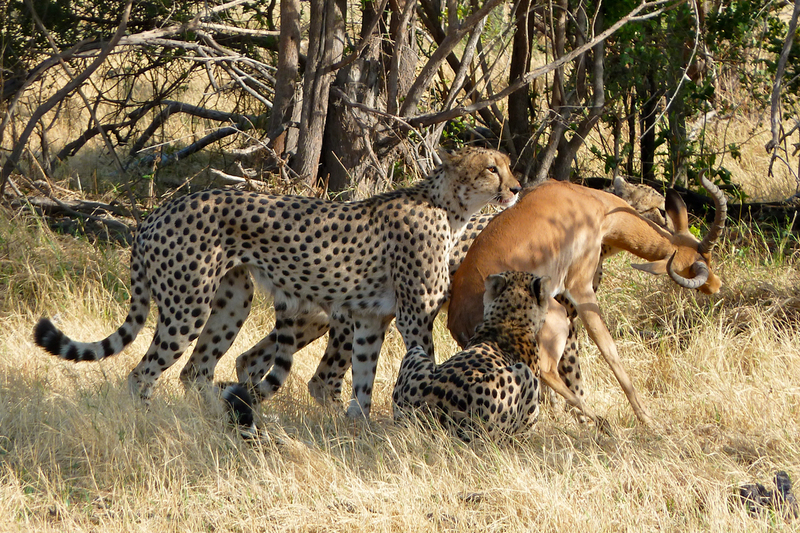 Bringing excellent value-for-money, this tour combines two of Kenya’s most renowned wildlife locations. Guests have the rare opportunity to see rhino – including the World’s last two remaining Northern White Rhino – and can get off the beaten track to observe lions, leopards, cheetahs and much more where the animals are completely wild and free in their natural habitat. If you like the look of any of these great offers, then just get in touch to ask for more information or to book. We’re really excited to bring you these great deals from one of Botswana’s most respected safari operators. 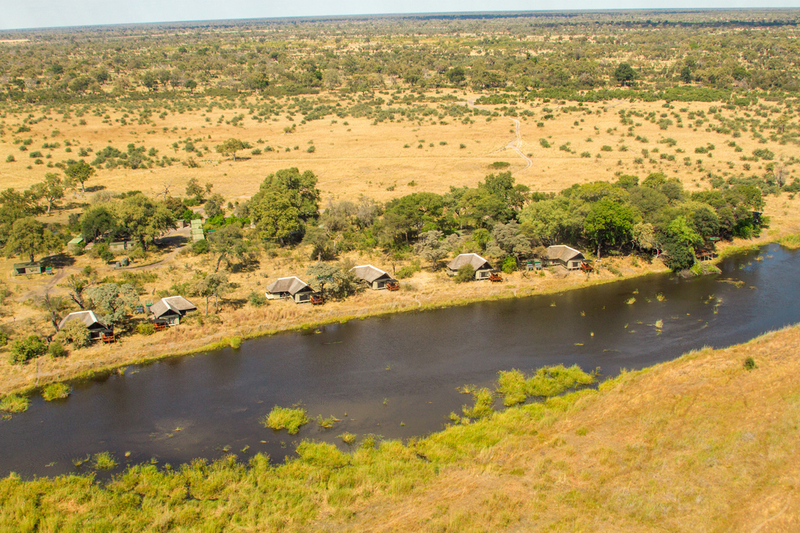 The Kwando concession, located by the Linyanti river just north of the Okavango Delta is renowned as one of the most game-rich areas in Botswana. 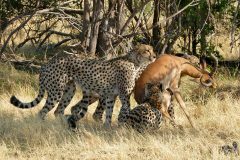 Lions, Cheetahs, Wild Dogs and Leopards are all regularly sighted, as well as large herds of elephant and buffalo. 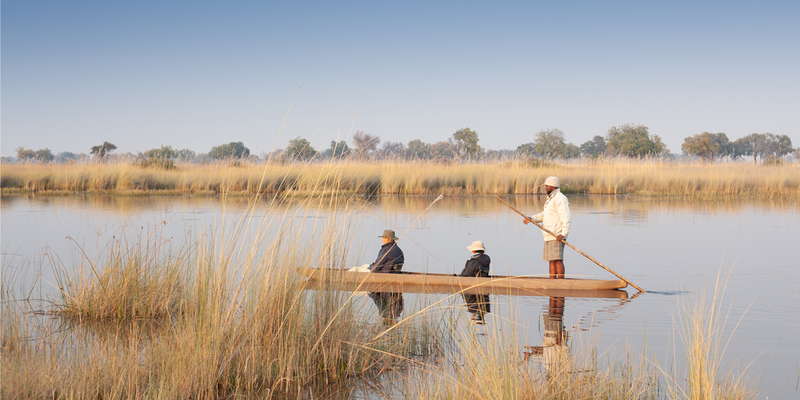 Save as much as 56% by travelling in low season. 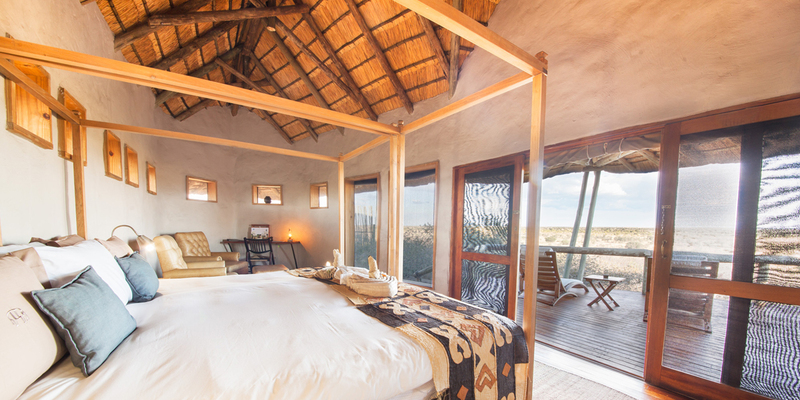 These special offers are priced for 2 people travelling together and combine the Kwando concession with other, equally spectacular, areas like Central Kalahari and Nxai Pan. 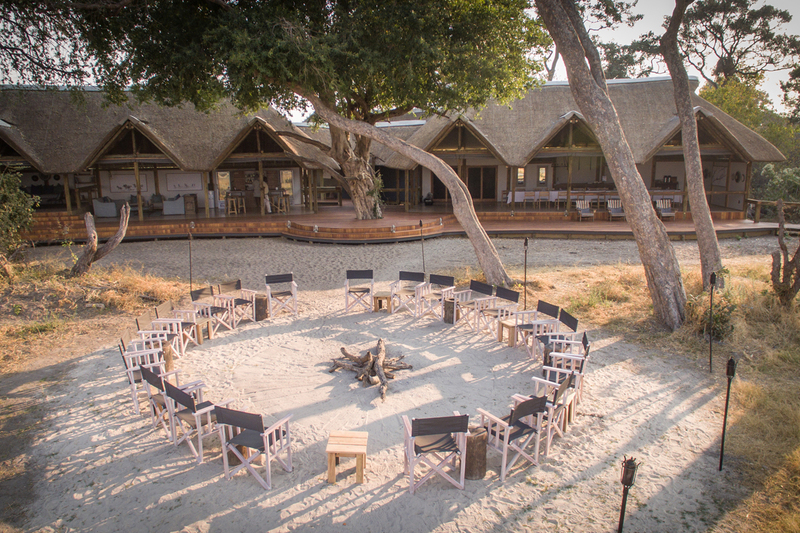 Additional guests can be added for an additional cost.